Thiers-Issard of France is world famous for the quality and craftsmanship of the cut throat razors which are handmade the old fashioned way. Using English Sheffield Silver Steel, Thiers-Issard carefully handcraft every razor, with methods that have changed little from those techniques used by Pierre Issard in France in the late 19th Century. Looked after and maintained properly these razors will provide you with a lifetime of service. Thiers-Issard shaving brushes are made from the finest quality Silvertip or Best badger hair, while their shaving sets typically include a cut throat razor, strop, shaving soap and lathering bowl. 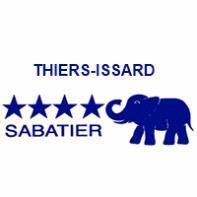 Thiers-Issard, probably the makers of the finest cut throat razors in the world.